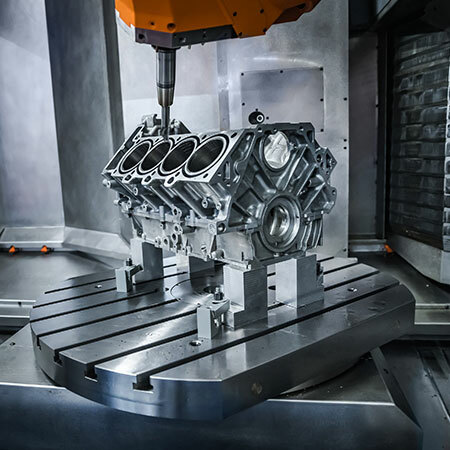 Our CNC machining capabilities allow us to transform materials and produce custom machined components for our partners with great precision and immense control, according to an exact set of specifications. Our 4 Axis CNC milling operation is handled by expert programmers and machinists with many years of experience. They harness the full capabilities of the superior technology in operation to offer you parts and components displaying the highest precision industry-wide. 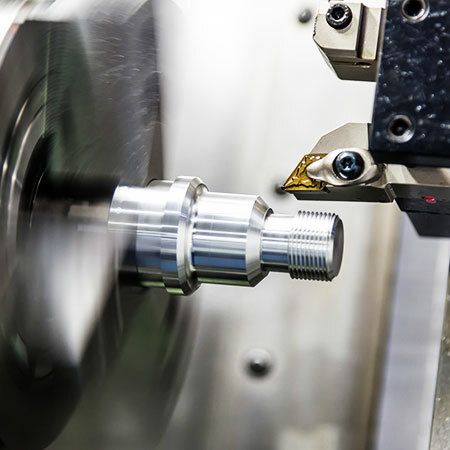 Our CNC lathe machining capabilities are renowned due to the tight tolerances and high precision we are able to repeatedly offer for your complex component requirements. Our CNC lathing effort is manned by CNC programmers and machinists who operate on parts with great dexterity. Our CNC lathe machines possess CAD and CAM software system capabilities, and are able to handle diameters of up to 16”. The accuracy and consistency of FineFinish Engineering’s CNC lathing operation is direct result of combining superior technology and machinery with the most skilled professionals islandwide. When your business requires a fresh, innovative approach to production, FFE is there with high-quality solutions tailored just for you. When you manufacture products or provide services that are world-renowned, FFE is there with machines that are driven by precision and speed. Our promise to you at FineFinish Engineering is the very best CNC machining industry-wide, for your specific component requirements. By placing superior machinery in the hands of our expert programmers and machinists, we are able to manufacture components to the strictest tolerances and the greatest precision, regardless of the industry the part is required for. Furthermore, FineFinish Engineering’s CNC machining expertise, plus the state-of-the-art technology as well as machinery we wield, allow us to build custom parts according to the exact specifications you require.